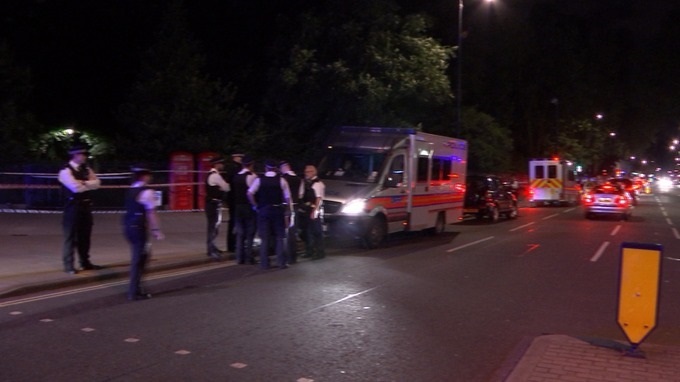 A man has stabbed 6 people in Russell Square in London leaving one of them dead. The identity of the attacker hasn't been released but counter-terrorism officers are involved and the police have already mentioned mental health issues which follows the same pattern as French and German police after recent terrorist attacks there. We will no doubt soon learn that the attacker shouted Allahu Akbar while he was doing it and is probably a "refugee". No amount of tooled up anti-terrorist police on the streets are going to prevent terrorist attacks. The authorities have allowed terrorists and extremists into the country, failed to deport those who preach hatred and intolerance and allowed a parallel Islamic state to establish itself within these shores. Policies of appeasement, multiculturalism and mass immigration have created this situation and a hard line is needed to end it. Anyone who puts their religion before their country - whatever that religion - doesn't belong here.